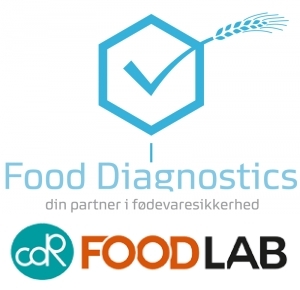 Thanks to new distribution agreements with Food Diagnostics, CDR FoodLab® analysis systems will strengthen its presence in the Northern Europe market: from Denmark to Sweden, from Iceland to Faroe Islands and in Greenland. The vocational skill of these Countries for the fishing industry sees in CDR FoodLab® for fish oil analysis, a real supporter. CDR BeerLab® for beer analysis is a great answer to the Northern Europe breweries requests, in order to improve and simplify the quality checks during the beer production process. All the CDR FoodLab® range for food and beverage analysis systems, are available for all the business who need simple but efficient methods for quality control and process on the production lines. Food Diagnostics is a Danish company with subsidiaries in Iceland, Sweden, Faroe Islands and Greenland with over 15 years of experience, specialized in sales and distribution of test kits and equipment for laboratories in various industries as food, beverage, and pharmaceutical. Food Diagnostics is exclusive distributor of high quality products and collaborate with Labolytic A/S in the Norwegian market. CDR FoodLab has a new distributor for Northern Europe was last modified: May 25th, 2017 by CDR s.r.l.